Dixons online store ceases trading today | What Hi-Fi? 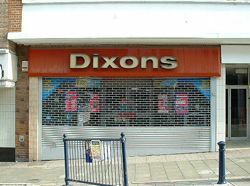 More than six years since Dixons exited the UK high street, the Dixons retail website in the UK will cease trading today. The website will be redirected to Currys.co.uk, following in the footsteps of the high street shops, which first became Currys.digital and now Currys PC World stores. Dixons Retail, founded in 1937, remains one of Europe's biggest consumer electronics retailers but the Dixons brand will now only be visible in the form of Dixons Travel shops at UK airports. Dixons Travel, Currys, PC World and other operations such as Pixmania are all part of the Dixons Retail group. A note on the Currys website makes it clear that purchases and agreements made with Dixons.co.uk will be covered by Currys.co.uk, including warranties, returns and orders. Dixons Retail announced in June this year that it would be closing more stores than planned with the number of stores reduced from 557 to 400.